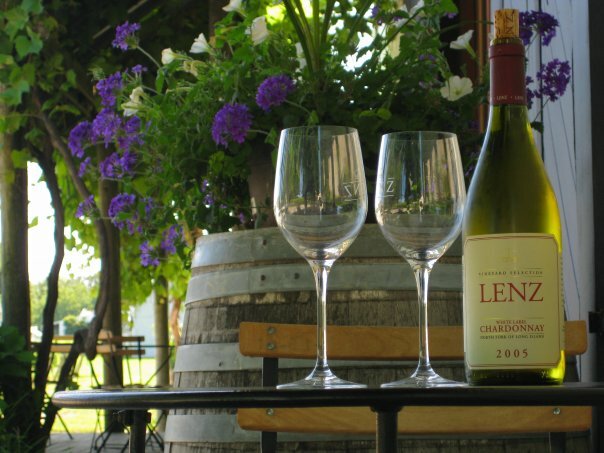 It’s hard to imagine, we only discovered the Lenz Winery about a year ago. That’s because it’s a bit of a hidden secret! Well, not that secret, I mean it’s on the main road, Route 25, BUT it’s not a member of the Long Island Wine Council. That means, that when you get up to Long Island and pick up your little wine trail map, it’s not there. So you might not ever make plans to stop there. Lenz does this because it is a smaller winery and tries to avoid large crowds that often come via bus trips, as a result of being part of the Wine Council. We happened to notice Lenz’s sign driving by during our trip last summer and decided to stop by. Their tasting room is a real treat. It’s an old barn that’s been decked out with artwork from local artists (available for purchase). Their bar is nearly the length of the winery and even with a few dozen people in the winery (luckily I’ve never seen it that crowded with the lack of bus tours) it would still be very comfortable. There’s also picnicking space outside, in case you want to bring a snack. From our first taste, we were in love. Lenz takes time to produce quality wines. All wines are estate made, meaning they only use grapes grown in their own vineyards. On top of that, they don’t rush their wine production to make a profit as some other wineries might. While many wineries have already started releasing 2011 rose and white wines, Lenz is just now releasing their 2010 rose. As for the whites? They’re just releasing 2008 and 2009 vintages. As Wine Members, we enjoy pickups or deliveries from Lenz up to 4 times a year. There is a dollar commitment, so if you end up purchasing a lot more in November, you might skip February. We generally visit the winery twice a year and get wine shipped the other times. We just received our August shipment! It is a bit disappointing to not be able to sample the wines before we purchase them. I’m especially looking forward to trying their 2010 Blanc de Noir and 2008 Gewürztraminer (that just got a huge shout out from the New York Times). At the same time, I don’t think we’ve ever had a wine from them we disliked. I have yet to open the new releases we just purchased, but I highly recommend the Cabernet Franc-Malbec and nearly any vintage of their Cuvee. Lenz is located 38355 Rt 25. While they’re not listed on the Long Island Wine Council map, they still have a green sign across the street identifying their location. 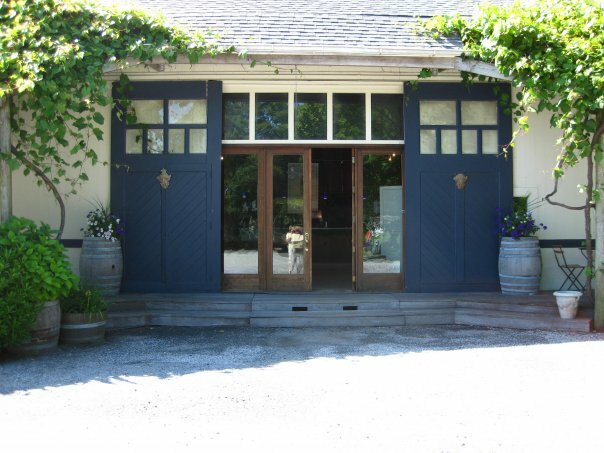 Lenz is located across the street from Raphael Winery and just east of Pindar Vineyards. Their tasting room is open year round, but check their website for specific hours. Previous postEverything’s Better as a Cupcake! I agree! If only it wasn’t for all that summer Hamptons traffic I would be out there a lot more!